This chest of drawers comes from our Cambridge Range. Painted in a neutral 'on trend' taupe finish that fits in easily with most decors. This offers a great storage solution for the bedroom and will look great in a modern or traditional styled interior. In a 2 over 2 design with 2 small drawers at the top and 2 larger drawers on the bottom. This chest of drawers makes excellent clothing storage in your bedroom, allowing you to keep your clothes folded neatly away until needed. We have more furniture available in our Cambridge Range that will allow you to furnish your bedroom and living room. This chest of drawers comes from our Cambridge Range. Painted in a neutral 'on trend' taupe finish that fits in easily with most decors. This offers a great storage solution for the bedroom and will look great in a modern or traditional styled interior. In a 2 over 2 design with 2 small drawers at the top and 2 larger drawers on the bottom. This chest of drawers makes excellent clothing storage in your bedroom, allowing you to keep your clothes folded neatly away until needed. We have more furniture available in our Cambridge Range that will allow you to furnish your bedroom and living room. 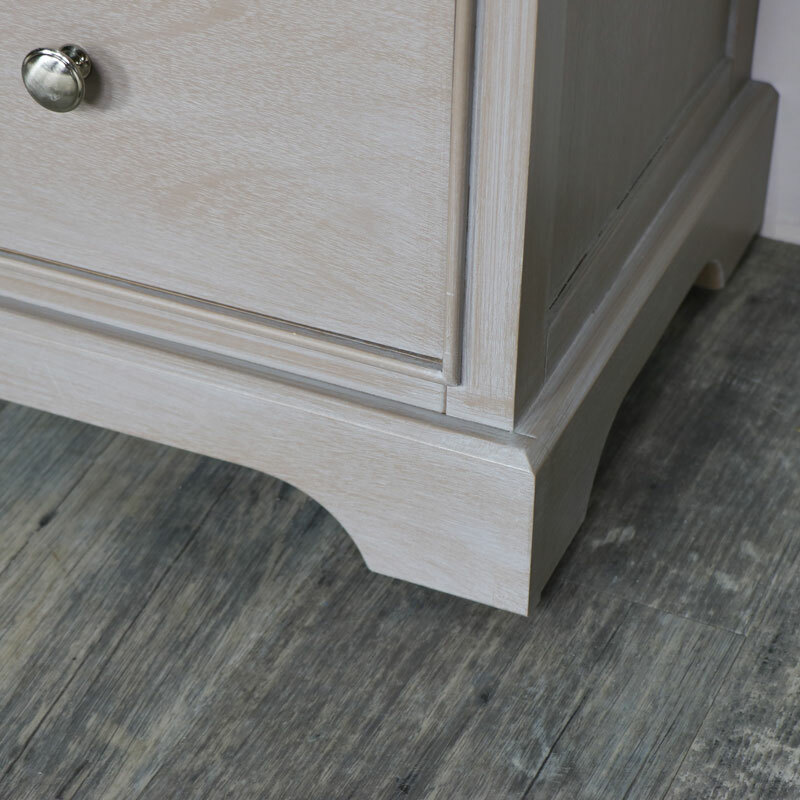 Made from wood and finished in a neutral taupe finish. The chest of drawer comes fully assembled.